If you’re among the many whose eyes light up when you see a cocktail bar taking pride of place in the middle of a wedding reception, then chances are that you’re already familiar with multi-award winner Damian Muscat and his mobile cocktail and wine bars. With several years of experience under his belt, Damian is one of those people who take a deep personal interest and pride in their work. Specialised cocktail bars have become quite a trend at social functions and serve the dual purpose of being a stylish centrepiece as well as an icebreaker. People tend to congregate around them and the element of fun that comes with selecting an unusual and colourful cocktail makes for the ideal fuel to spark off your guests’ socialising. Cocktail bars have also made their ways into our wedding culture and are now a common sight at receptions all over the islands. In fact, people have even taken to personalising their cocktail bars just as they would the rest of the evening. 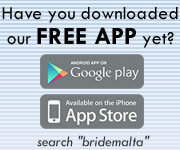 Many weddings nowadays choose to adopt a particular theme such as vintage, classic, modern, beach and country to name but a few. 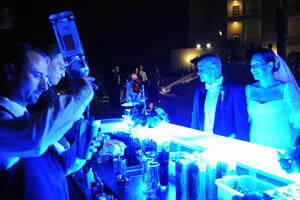 Consequently, cocktail bars are also being made available with variations to suit pretty much any theme or venue. These innovative bar styles would also come with a matching menu and the drinks served would often depend on such factors as theme, season, and obviously the preference of the couple. Nowadays flexibility and a wide selection are vital prerequisites – as is a professional approach to cocktail making. There are a few classic cocktails that people will usually expect to find although the importance of new and exciting alternative options should never be underestimated. Similarly, many cocktail bars would also offer a slight variation or twist on the all-time favourites – thereby tempting even those with the most conservative preferences to try something new. It is perhaps not surprising that a cocktail bar would tend to enjoy more traffic than a main bar since guests will always gravitate towards it if they notice a gap. That’s why seeing an idle cocktail maker is a pretty rare sight indeed. However, despite their growing popularity at weddings, the status of the cocktail bar as a fun centrepiece has endured and the right set-up, with the right menu will quite often guarantee that your cocktail bar will be among the things that will spring to mind when guests look back on your wedding reception several years from now. Original article contributed by Damian's Cocktails.